Winterizing Your Summer Toy - Don't Forget! 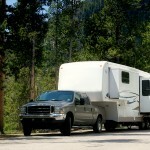 You are here: Home / Blog / Blog / Winterizing your summer "toys"
In order to winterize your RV, motorcycle or boat, there are a few key areas that should offer special attention. Winterizing is proper maintenance for your toys and proper maintenance includes insurance. If you have questions about a policy on your motorcycle, RV or boat, make sure to talk to the insurance professionals at Haley Insurance Agency in The Woodlands, Conroe and Houston, TX. Their years of insurance experience can save you a bundle, and they live right in your area, so know firsthand what your insurance needs might be. You can also visit their insurance website24/7 to learn more about the insurance products they offer like auto insurance. 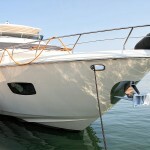 https://haleyinsuranceonline.com/wp-content/uploads/2014/05/Winterizing-your-boat.jpg 602 900 Tosten https://haleyinsuranceonline.com/wp-content/uploads/2014/10/Haley-Insurance_Logo-1024x605.jpg Tosten2014-12-15 09:58:572014-10-23 17:22:06Winterizing your summer "toys"